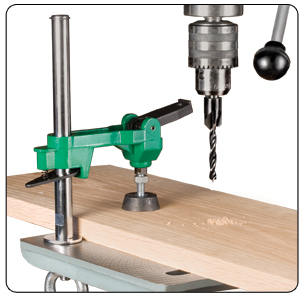 T-Track & Drill Press Table not Included. 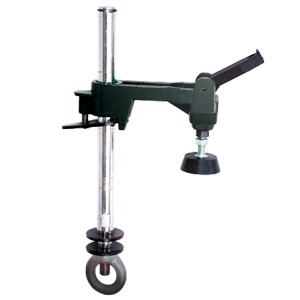 .Hold Down Capacity of 4-3/4"
This toggle is perfect solution for holding light duty stock in place along a fence. 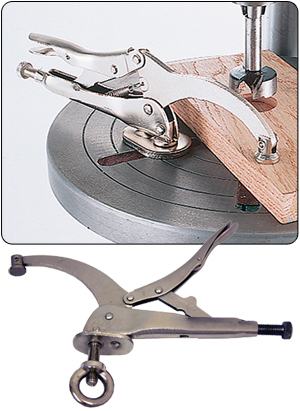 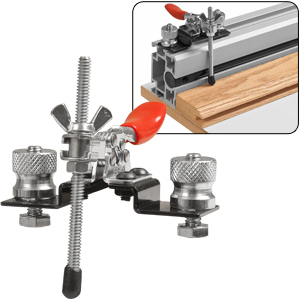 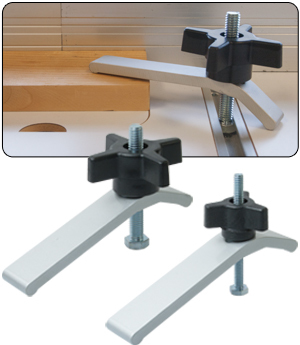 Simply attach to a T-slot track, move it into position and secure. 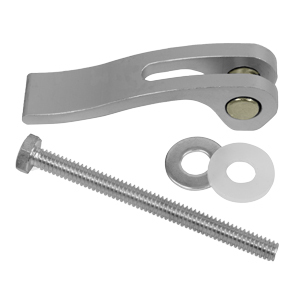 the extra long bolt comes with the toggle allows you to secure your stock well below the top of your fence.The finger tighten nut allows you to position the toggle anywhere along your fence and easily secure. 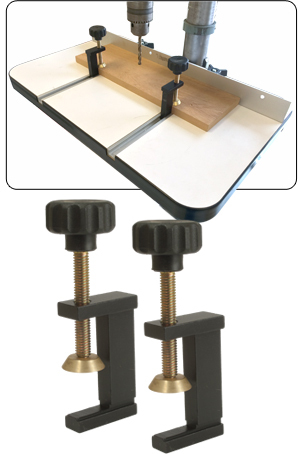 The mini T-Track Hold Down provides up to 35 lbs of holding pressure on your stock and has a rubber tip to prevent marring. 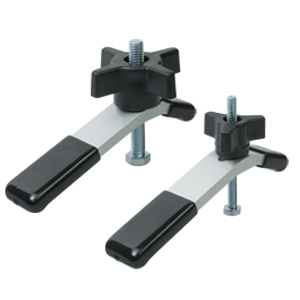 The large 2" Bolt allows you to adjust vertically to compensate for different size stock.